I would like to increase the horizontal projection of my chin. I understand that Belafill can produce results that last for up to five years and I am wondering if Belafill would be a good option in my case. If so, how many syringes would i need to achieve my desired result and around how much would it cost? Thank you! Bellafill contains 20% microspheres of PMMA along with bovine collagen. The collagen gets reabsorbed rather quickly but the PMMA is permanent. 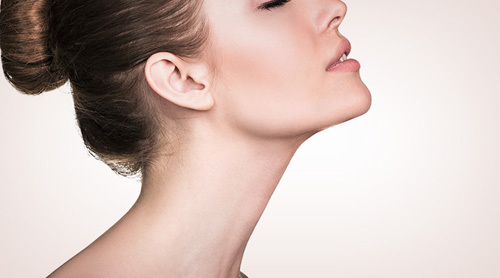 I think Bellafill is an excellent filler for use a deep structural filler for chin augmentation, jawline definition, and also for cheek augmentation. In reality, Bellafill may be used a filler to replace the need for a chin implant and the surgical procedure. The caveat is that it has to be done gradually, and it would probably take about 5 – 8 syringes over a six month period of time, so the cost would be about $4000 to $5000. The video above describes the use of Bellafill for acne scarring, but also shows it being used in a deep structural manner.